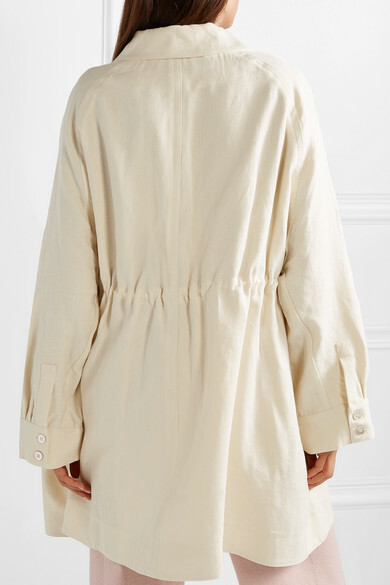 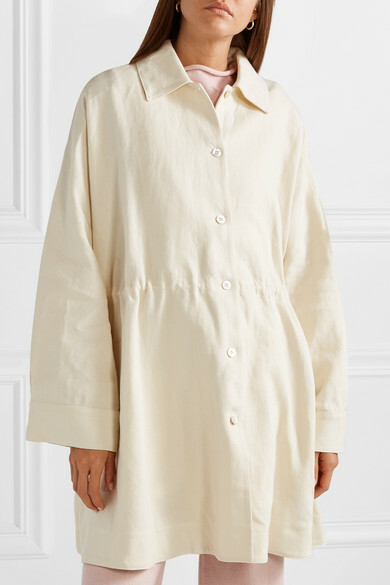 Mansur Gavriel's linen coat is ideal for navigating those tricky, transitional months - it looks great worn over a light T-shirt, but thanks to the oversized shape, it'll also layer easily over thicker sweaters during cold weather. 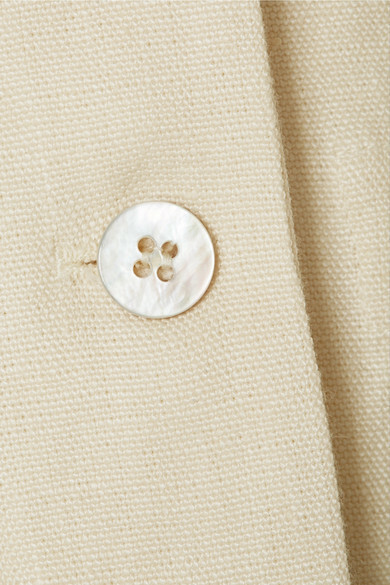 Cinch the drawstrings to pull it in at the waist. 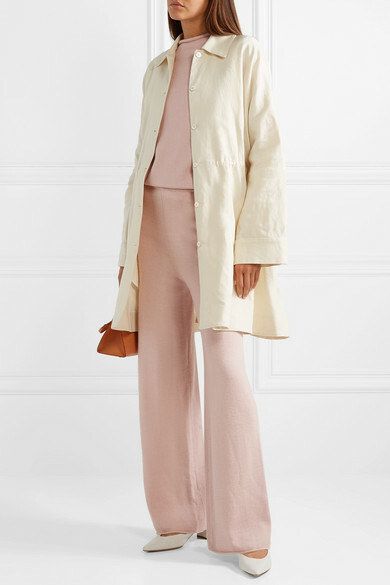 Shown here with: Mansur Gavriel Sweater, Mansur Gavriel Pants, Mansur Gavriel Mini Bag, Mansur Gavriel Pumps, Sophie Buhai Earrings.